Ask the administrator for the organization’s home page URL and installation password. 1. Visit the home page and select the Loudclass Interactive button. 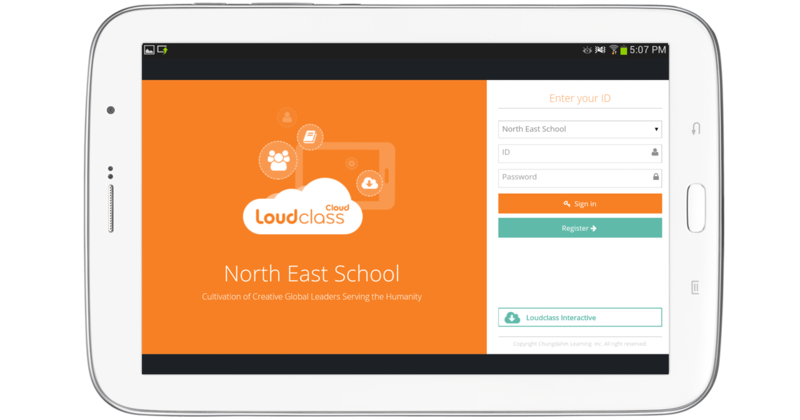 Select the “Teacher Loudclass Interactive” button to select teacher APK. 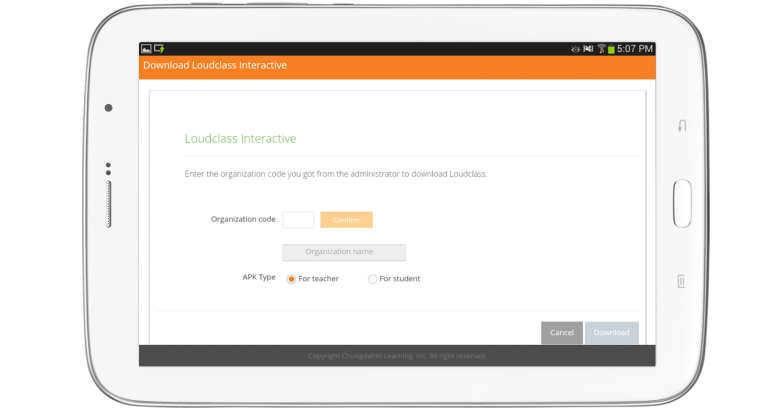 Select the “Student Loudclass Interactive” button to download student APK. 2. Enter the organization code received from the administrator and select the Confirm button to authenticate. When the authentication is complete, check the Organization name and select the teacher or student APK to download. An error message will be displayed if the organization code entered is incorrect. 3. Select “Download” to download the APK. 4. Select the APK file to install it on the tablet. 5. An app icon is created when the installation is complete.